A chapel service for Dorothy Weeks will be held at 10:00am on Friday, 10/12/2018 from Mobile Memorial Gardens Funeral Home, followed by a committal service at the grave site. 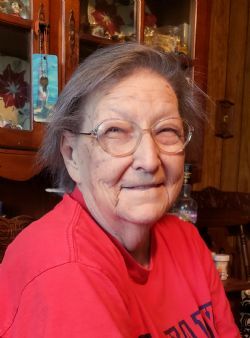 A native of Calvert, AL and resident of Grand Bay, AL died on Tuesday, October 9, 2018 at the age of 75. Mrs. Weeks was a school bus driver for special needs children with the Mobile County Public Schools for 27 years. She liked to play games on her Kindle. She is survived by her five children, Robert (Sharon) Weeks, Jr, Holly (Doug) Martin, Beverly (Jeff) Warne, Catrina (Paul) Jones and Victor (Penny) Weeks; two brothers, Willis (Fran) Dempsey, Jr and Carlton (Cindy) Dempsey; ten grandchildren and four great grandchildren. Funeral services are scheduled for Friday, October 12, 2018 at 10:00 AM from the Chapel of Mobile Memorial Gardens Funeral Home with visitation beginning at 8:30 AM. Interment will be in Mobile Memorial Gardens.